Was £575. Comes with rain cover, changing bag, travel changing mat and insulated bottle holder. John Lewis was pretty good to see a range of buggies. Id try and do some research first, so you atleast have a rough idea of what you want or atleast what you dont want. Uppababy vista was good for us. Best price for a brand new one. Thanks for posting. Lol, Mercs* arent quality any longer - they just LOOK it; if you want a quality and reliable car these days you buy a Kia or Hyundai. Mercs are like this buggy, all about perceived luxury. 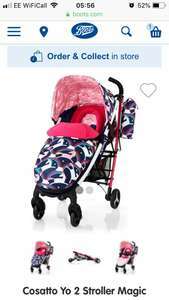 "a luxury all-terrain stroller" is exactly how this stroller is described in reviews. 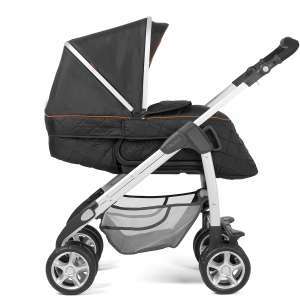 http://www.momsstrollerreviews.com/bugaboo-donkey-stroller-review/ * 10 years ago, my stepdad bought an E class as his 2nd car; the same month I bought a Mitsubishi Grandis for work purposes. Since then my car has cost me £9.65 in repair bills and his has cost around £10,000, including both Xeon headlights failing, at nearly £3,000 each for replacements. Especially agree with the last sentence. Mine has been dispatched too! Why are these so much cheaper? Is the swivel design not a good thing? We had one of these for out little boy and it was excellent, it does handle rough terrain really well and nothing ever became stuck or harder to use over the few years we used it, it's an easy one to manoeuvre as well, one our little one grew out of it we sold it and it was still like new. A bit misleading calling this an all terrain system. If we took this on the tracks round us it would be stuck within two minutes! What would be the people’s opinion between this and the Diono Quantum? How often do they do this deal ? Thank you. 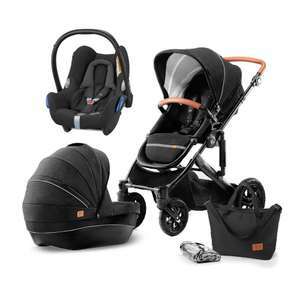 Purchased a Doona Carseat/Pushchair plus the Isofix base. Total purchase £409, discount value £99 and total cost £310. I expected discount to be £80 based on purchase price. Must be a glitch. Decent buggy. Ours has been absolutely hammered for nearly three years and two bairns and it's still going. Never miss a 'Pram' deal again! Cold, doesn't cost over a grand so the mrs wont be able to impress the other mums at school pickup. Mine came with a missing arm bar on the pushchair. Mothercare kept saying it was an optional part even thought it was needed as part of the travel system. I would avoid this and shop elsewhere as Mothercare support is run by people who should be working at Tesco! Does anyone know if I can change the black cover on the pushchair? I can't find this. Has it gone? Exactly what I need. Ordered with a 20% off code from UNiDAYS . Thanks! Folded measures H:31cm x W:26cm x L:110cm approx. I read some of the amazon reviews for it and they said it did come with a rain cover. I have this buggy and can't fault it. Maybe a bigger basket but other than that love it and would buy again.... Definitely at this price. I've been trying to expire post as sale ends today but can't can someone do it for me please. Wow. Lucky indeed. A week on. Cheers op got britax dualfix for £180, which is cheaper than most places plus the Mrs gets precious advantage points! Since all the dates were out this year , it's impossible to say , just about the only things at 90% last year were the Lucy meck ( towie) sets and the Zoella advent calendar that some branches resorted to giving away , so don't expect too much . When you're in a hurry in the lashing rain or you're in and out with baby a lot during the day the base is really handy, I can strap him in with seatbelt no problem but clicking into base is so much easier and faster. Yeah, I’m just tight! Didn’t want to fall into the trap of just buying everything so held off and didn’t need it in the end. Personal preference though! Whilst it's not a deal breaker, bases are handy in my opinion - when you're in a hurry (e.g. it's lashing down with rain) it's much easier to just clip in/out, plus providing you fit the base correctly in the first place it eliminates the risk of getting it wrong/not tight enough etc. I've found it particularly handy with our second child as we have a 3 year old and newborn (plus associated luggage) to get in and out (and by necessity one of them has to be on the driver's side). As alexlea88 said, you can cope without (and some seats are quicker/easier to belt in than others), but if I had the choice of one with a base for a little more money I'd go for it (it didn't factor into our original choice of seat as we bought a travel system package but I've subsequently bought a base for both cars, I was lucky enough to pick two up for around the standard price for one - definitely for convenience rather than out of necessity). Nice. We had a 13hour flight. 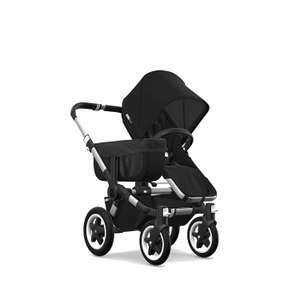 When we looked around for ours we where specifically looking for one to adapt to our pushchair and worked out expensive. £35 is no brainer. Great if you have other nuna stuff. Be careful lugging it around with suitcases and hand luggages. The travel one we bought was ideal as we took it as hand luggage and was light meaning only his baby bag and the car seat to take on-board. Was a handful at times with the suitcases but the trolleys came handy. Good luck and enjoy. I’m looking at the nuna juva whjch is £35 and airplane approved. Might get that as got a long haul trip to visit family coming up.